Seventeen years ago, Toy Story was released to brilliant reviews. Observers called it a revolutionary moment for cinema and a stunning example of what powerful computers could do in the hands of visionary men and women. In just eighty-one minutes, Pixar changed our perception of where animation could go and perhaps more importantly, changed our expectations for how much work should go into children’s entertainment. The backdrops were so detailed and lively. The movement of the characters was so fluid and unencumbered. The animation industry was heading toward somewhere new, somewhere more free and beautiful, and we knew then Pixar would be the studio to lead us there. Over time, that promise of wonder and radical change has been fulfilled with each new release. Innovation and technical achievement are found in every shadow and every wrinkle of Pixar’s twelve features. Each is a visual masterpiece; each is a piece of evidence as to why Pixar is so historically important. Yet, nothing I’ve said explains why I know every single line of Woody’s dialogue. None of it explains why I cry every time Jessie sings “When Somebody Loved Me” or smile whenever Captain B. McCrae opens his mouth. None of it explains why Pixar is so beloved. The truth is making a cherished movie isn’t about reinventing the wheel. It’s about writing incredible, relatable characters to turn that wheel. It’s in the storytelling basics, in the most heartfelt honesty that Pixar has found its real legacy, the one that matters to those of us who go to the movies to connect and be touched. All of the visual marvels and all of the perfect angles are just the shiny polish that make getting to know Dashiell Parr, Marlin and dozens of others that much more special. 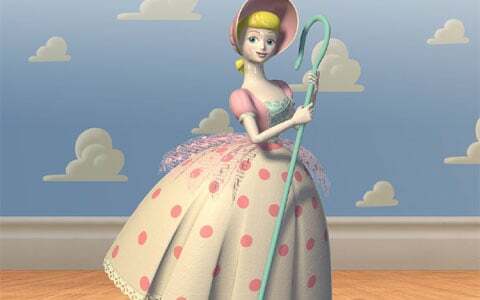 Woody might be the most valuable of all the toys, but Bo Peep is certainly the most breakable. As a result, she’s not really able to accompany her friends on many adventures, but inside the house, she still provides needed humor and compassion. Plus, she’s unusually forward when dealing with Woody. She’s the only character capable of making him tongue-tied, and the warmth between the two is delightful to watch. She might have been sold off prior to the third installment, but she’ll still always be apart of the loveable world the toys inhabit. 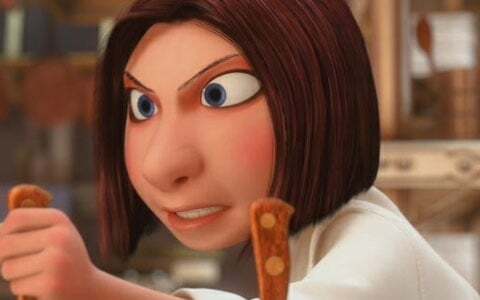 Merida may be Pixar's first human princess, but they were already turning the traditional princess stereotype on its head back in A Bug's Life, with the feisty and powerful Princess Atta, voiced by Julia Louis-Dreyfus. Though you never doubt that she'll eventually fall for the dippy Flik, she has a strong backbone of her own, and prioritizes the colony she'll eventually rule over any kind of romance headed her way. 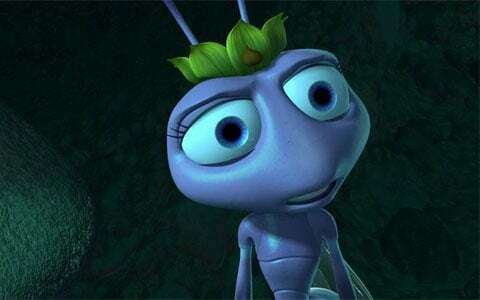 When the powerful grasshopper Hopper comes to convince the ants they'll never be able to stand up for themselves, who's the first person in the crowd to join Flik in the rebellion? It's Princess Atta, of course, showing how to be strong and wear a crown years before Merida arrived. 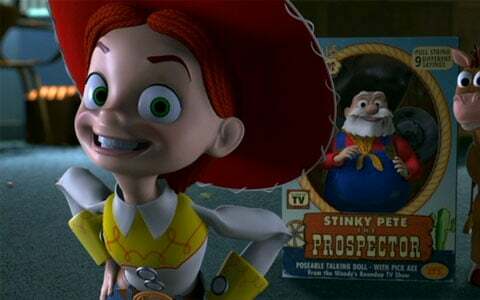 Spunky, yet never a caricature, Jessie is given the most emotionally-wrenching scene in Toy Story 2, and her harrowing journey colors and adds perspective to a story formerly dominated by masculine voices. She doesn’t exist as a foil or as a stock female character; she exists because she’s a beautiful creation who walks and talks back on her own merit. Her charisma is fascinating to watch and seeing her finally find joy again is perhaps the film’s biggest payoff. With all due respect to Boo, Roz is one of the all-time great Pixar characters. With an irritated tone of voice and an angrier expression, she complains about paperwork and generally causes great annoyance to poor Mike who can’t ever submit anything correctly. Were it not for the film’s climax, she could potentially go down as a one-note gag, but since she’s unmasked as the head of the CDA, her frustrated I’m-watching-you comments take on fresh meaning upon rewatch. 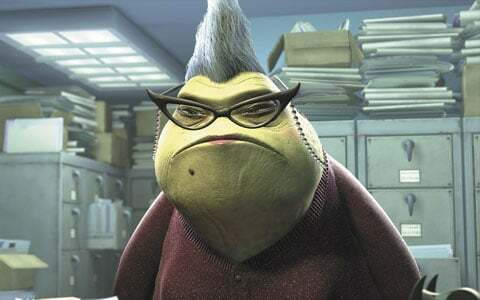 I’m really glad Roz exists, but that being said, thank Monstropolis she’s not my boss. Every Pixar film is full of great jokes, but there's never been a character as straight-up hilarious as Dory, the blue tang with no short term memory who's probably the worst possible traveling companion for our hero, Marlon. As voiced by Ellen DeGeneres, Dory is batty but well-meaning, frustrating but extremely loyal. She also pulls through for Marlon in a key moment, proving that her forgetfulness wasn't just a silly gag, but the key to proving the real definition of home and family. 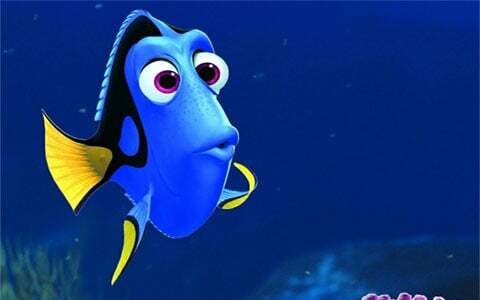 Dory's motto of "just keeping swimming" might seem simple, but it makes all the difference in helping Marlon find his son and helping Dory find her way out of a series of tight jams. I don't think I'd want to be quite as forgetful as she is-- or be a fish, for that matter-- but I wouldn't mind sharing some of her endless optimism. 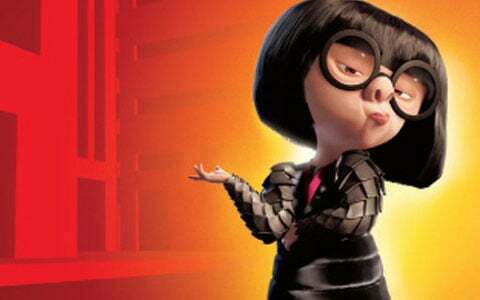 Edna Mode is visually fascinating. She’s barely tall enough to see her security system, but she still seems to tower over everyone during her face-to-face conversations. It’s her presence. With a superior confidence and a willingness to shoot from the hip without a filter, she’s mesmerized by her own abilities and is willing to take on any challenge that doesn’t involve designing for stick figure models. Unless, of course, you were looking for a cape. She’s seen too many good men die from those useless accessories, and there will be no more unnecessary tragedies on her watch. Flo doesn't have the biggest part in Cars, but you might be able to argue she's the most important person--er, car-- in Radiator Springs. She owns the town's only diner, which means she knows everybody, and she's married to Ramone, the only car in town that does body work, which means she really knows everybody. 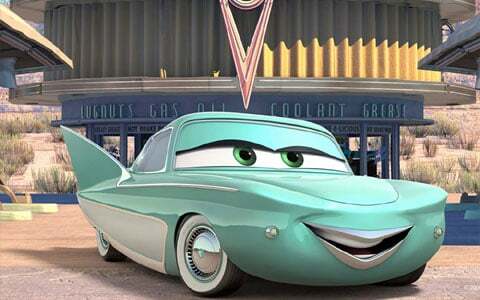 And as a flashy Motorama show car, with pale green paint (that Ramone refuses to paint because she's perfect the way she is) and big tail fins, Flo is flashy and unique in a town where she easily could have given up on her sense of style. She's a blast from the past, and a key element in building Cars dense universe of characters worth moving to Radiator Springs for. Colette is the toughest cook in the kitchen. She’s worked hard to get where she’s at, and she’ll gladly kill a man for not keeping his station clean. Provided one is clear on that, she’s an incredibly handy woman to have around. She works with calculated precision and at a rapid pace without dawdling or making mistakes. Luckily, she also has a heart, and when the staff walks out of Gausteau’s, she returns to right the ship. It’s a testament to her competence and her supreme will that when she comes back, she’s not there for moral support, she’s there to make great food. The moral support is just an added bonus. 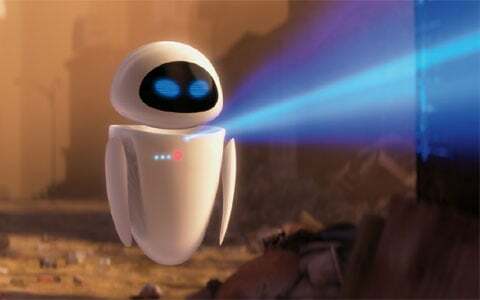 EVE moves with a grace completely foreign to Wall-E. She’s incredibly proficient at her job, and at first, she’s only interested in working. Over time however, she achieves balance, begins to open up and becomes every bit as human as any of Pixar’s other great creations. She doesn’t need a voice to tell us her feelings because she lives through actions, and EVE’s actions tell us she’s a beautiful, caring and motivated soul. With women like her saving the Earth, we’re all in extremely good appendages. Ellie Fredricksen has maybe twenty lines in Up, all as an energetic and borderline overbearing adolescent, but in the film’s touching opening montage, we watch her waltz through smiles, hopeful aspirations, compromised dreams and eternal love. She was the only woman for Carl. In each other, they found balance, hope and a lifetime’s worth of adventures. She may not have made it to Paradise Falls beside her husband, but it’s her spirit that makes us want to be there alongside her curmudgeonly spouse. The world would be a far better place with a few more Ellie’s. It requires moxie and a shrieking voice to be heard over Andy’s other toys, and Mrs. Potato Head has both of those in spades. She’s nurturing but also aggressive, the perfect blend of uncompromising belligerence and doting affection. In short, she’s the wife or mother none of us want to have but all secretly could benefit from. She always remembers to pack the angry eyes, and she’s constantly on alert for trouble. Luckily for viewers, all of these qualities combine together to produce hilarity, especially given the vocal talent George Costanza’s mother possesses. She might not have been in the first Toy Story movie, but it’s now hard to imagine the world without her. Holley Shiftwell is a suave, high-tech, utterly put-together agent, in the tradition of James Bond and his impossibly well-coiffed Bond girls. 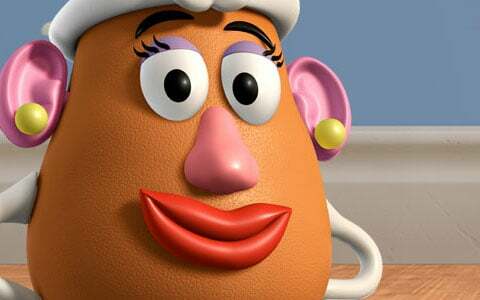 She's introduced in Cars 2 as pretty much the opposite of everything that brash American Lightning McQueen represents-- and she's definitely not a match for the hayseed Mater. But when he winds up smitten by her, can you blame him? She's a professional woman-- um, I mean car-- who needs that kind of chaos and humor in her life. 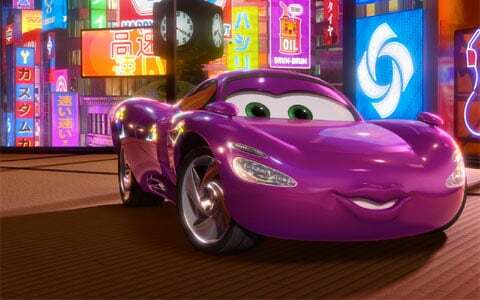 It's strange to say you identify with a car, but as a capable woman thrown into the chaotic proceedings of Cars 2, Holley Shiftwell is the kind of gal you wouldn't mind having next to you in a pinch. 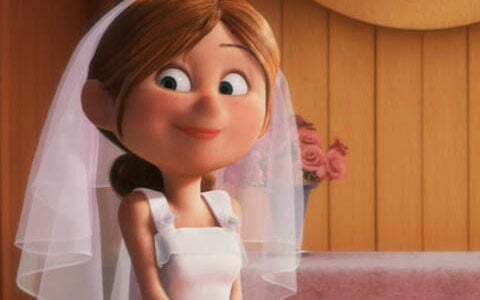 Which female Pixar character is your favorite?